It’s a pretty fantastic world we live in these days, especially when it comes to mobile phones. Hours upon hours of entertainment rests at our fingertips, available in virtually any place at any time, all from a sleek little device that fits in your pocket. As convenient and wondrous as smartphones are, though, there’s something to be said for viewing content on a big, flat-screen TV. For those who access more content from their tablet or smartphone than anywhere else, that big screen in the living room can create some serious size envy. So why can’t you have your cake and see it too? You can, thanks to the magic of mirroring. A rapidly growing arsenal of devices allows anything on your phone or tablet to be mirrored from your phone’s screen onto your TV. For those looking to marry the second screen with the flat screen, we put together this list of the best, most convenient, and most affordable ways to do so. We’ve done all the research for you, so dive right in and pick your poison. 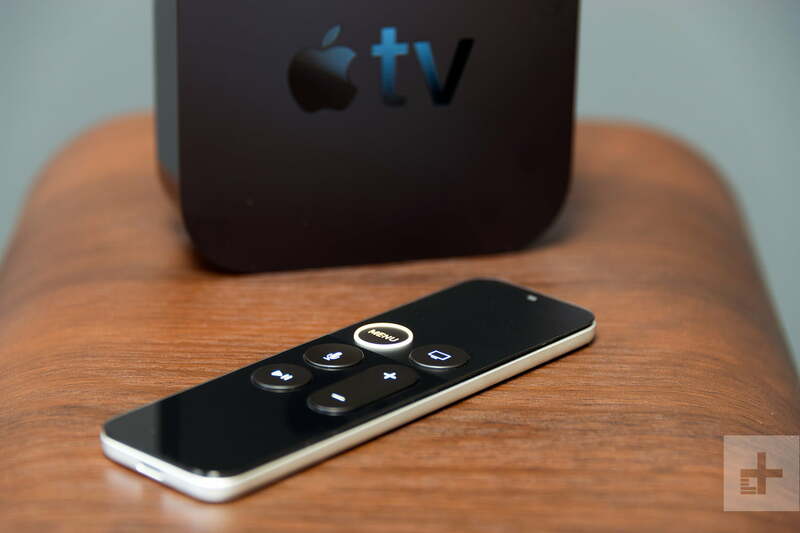 Not to be confused with the mythical stories of the actual television that Apple was long rumored to release, the Apple TV set-top box is a streaming device that competes head-to-head with Roku devices (see below), Amazon’s Fire TV devices, and other streamers. Boasting a wide selection of apps, an intuitive touch remote the pricey Apple TV 4K is a solid choice for those entrenched in the Apple ecosystem. What makes it great for our purposes is AirPlay. Apple’s proprietary wireless protocol suite is a brilliantly simple way to mirror video, audio, and pretty much any other content wirelessly from your iOS device to any display with an HDMI input. It’s done by swiping up from the bottom of the screen and tapping the Airplay symbol in the quick menu (which looks like a square with a triangle through it). AirPlay mirroring is really just the start, too. Savvy users can find all kinds of interesting ways to use this box as a media or smart home hub. Even if an iPhone is your only piece of Cupertino, California, currency, the Apple TV makes a lot of sense as the mirroring device of choice. AirPlay 2 offers increased functionality, and though it doesn’t offer any new mirroring features, it is rolling out to a host of new TVs (and some older ones) from Vizio, LG, Sony, and Samsung, meaning you soon won’t need an Apple TV at all for iOS mirroring. Roku’s diverse collection of streaming devices are perennial favorites among reviewers and consumers alike. What really makes Roku fly is its combination of a great interface and a ridiculous selection of apps (which numbers well over 1,000). Better yet, while the Roku family (which includes multiple iterations and price tiers) was long bereft of any real native mirroring, the company now offers straight-up screen mirroring for Android and Windows devices. On your Roku, in the settings menu, you can choose whether mirroring requests are auto-granted, auto-denied, or prompt you for permission. You can also add devices to approved and banned lists. The service is available for Android devices running 4.2 or higher, and Windows devices running 8.1 or higher. Your “hardware must support screen mirroring,” according to Roku, though most devices do in one form or another. For Android devices, Roku notes that there are many terms used for mirroring, including Smart View, Quick Connect, SmartShare, AllShare Cast, Wireless Display, HTC Connect, Screen Casting, and Cast. Once you’ve identified the correct terminology, you can usually enable mirroring from the settings menu under “network” or “display” headings. For Windows 8.1 devices or higher, you can mirror by following this Microsoft article. For Windows 10 devices, open the Action Center, select Project, then Connect to a wireless display, and then select the Roku device on your network. While iOS devices can’t mirror to Roku natively, users can display personal photos, video, and music to the Roku with the Play on Roku feature in the Roku app. In addition, a few popular apps allow you to sling content to the TV through Roku, including Video & TV Cast and AllCast. On iOS, the Netflix app will let you cast to a Roku device. Third-party apps may require more time to set up as platforms require you to download apps to both your destination device and your iOS device. For AllCast, you’ll need to upgrade to the $5 version (otherwise, you will be limited to a few minutes of video playback). These apps also work with Roku TVs, like the affordable TCL 6-Series TVs and other TCL models. 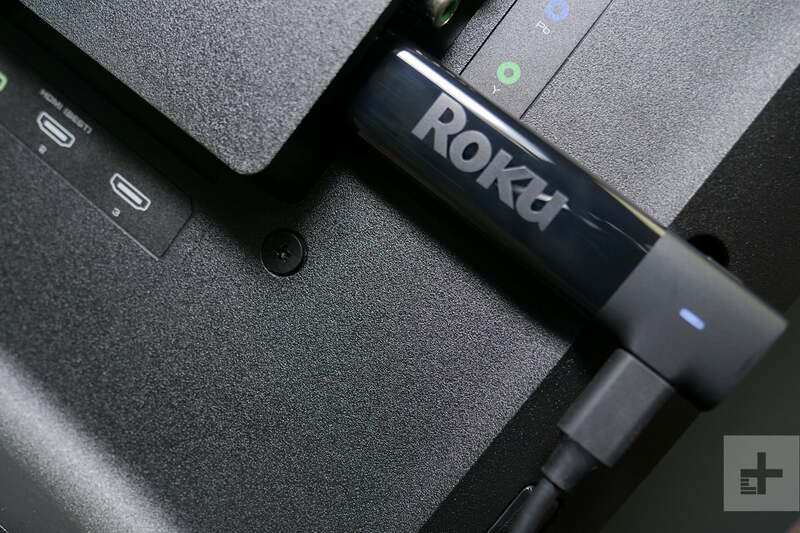 Finally, and not for those who shy away from a technical challenge, this RokuCast Chrome extension looks promising if you really, really want to cast to a Roku from your Mac, using Chrome. Amazon’s Fire TV made its debut in April 2014, with several newer (and more powerful) iterations following in the years since. The latest devices include the 4K HDR-ready Fire TV Cube, which offers a bevy of features, including the ability to control most of your home theater gear with only your voice, alongside the Fire TV Stick 4K, which offers a similar, though scaled down feature set. Like other newer Fire TV devices, the Fire TV Cube and Fire TV Stick 4K also boast support for 4K, HDR, and Alexa. Early in the Fire TV’s history, Amazon added native mirroring for Android devices via Miracast, though at first users had to have their device tethered to the same Amazon account as their box. But, thanks to an update, any user with a compatible device can get in on the fun. Enabled devices include Android devices running 4.2 Jelly Bean or higher, Amazon’s Fire HDX tablets, and the Fire Phone (if anyone still has one). Older Fire TVs don’t support mirroring. To enable mirroring, go to Settings > Display & Sounds > Enable Display Mirroring. Then connect your desired device from your Android phone or tablet. Just like the Roku, iOS users will find AllCast as a viable option when it comes to transmitting videos, photos, and other media to the Fire TV from outside the Android mafia. Another (paid) app to try out is Reflector 3, which also works with iOS devices. Since its debut in 2013, Chromecast has become a go-to device for affordable wireless streaming. Chromecast made a (very minor) update to its HD device for 2018, alongside the Chromecast Ultra, which offers 4K streaming and HDR support in a tiny, dongular (yes, we made that word up) form factor. What makes Chromecast devices special is their ability to bypass your device’s internal resources thanks to Google’s “cast” method of streaming, allowing you to start playback on your mobile device. Just click the cast icon and let the Chromecast take it from there, which lets your phone or tablet (or computer) rest and save battery. Outside of casting from streaming apps, though, Chromecast and Chromecast Ultra also feature near latency-free mirroring of anything on an Android smartphone or tablet, including games, photos, video, and more. The options combine to make for a host of very cool applications. As of now, Android devices running Android 4.4.2+ offer mirroring with Chromecast; some are “optimized,” while others might not run as smoothly. Make sure your Google Home app is updated, and check here for more help. As a bonus, Chromecast can also mirror anything from a Mac or PC’s Chrome browser by simply clicking the Cast button in the corner of your browser, but performance quality varies. If you’re an iOS user, Chromecast mirroring isn’t supported for content loaded on your device, but Chromecasts are great for streaming content from tons of popular apps, including YouTube, Spotify, Netflix, Hulu, and Google Play Movies & TV. You’ll need to download the Google Home app first, though. While we generally prefer the methods outlined above in most cases, if you’re an Androidian, third-party Miracast devices from lesser-known companies are also available. Miracast is a Wi-Fi certified, high-definition wireless protocol similar to AirPlay. Miracast is unique in that, unlike AirPlay, it does not require a Wi-Fi network. Instead, it sets up its own private streaming network through a protocol that arrived with Android 4.0 called Wi-Fi Direct. The network is accessible from other local devices but is safe from any internet hooligans outside of its short range. Miracast is versatile and offers a host of mirroring capabilities. While it works with Android devices, it is especially useful for mirroring PCs. Like AirPlay, its Achilles’ heel is relying on your device’s internal resources, which ties it up and drains the battery. Still, if Android (and especially PC) mirroring is your game, Miracast-compatible devices may be worth checking into (though, again, we’d probably just go with one of the devices above). 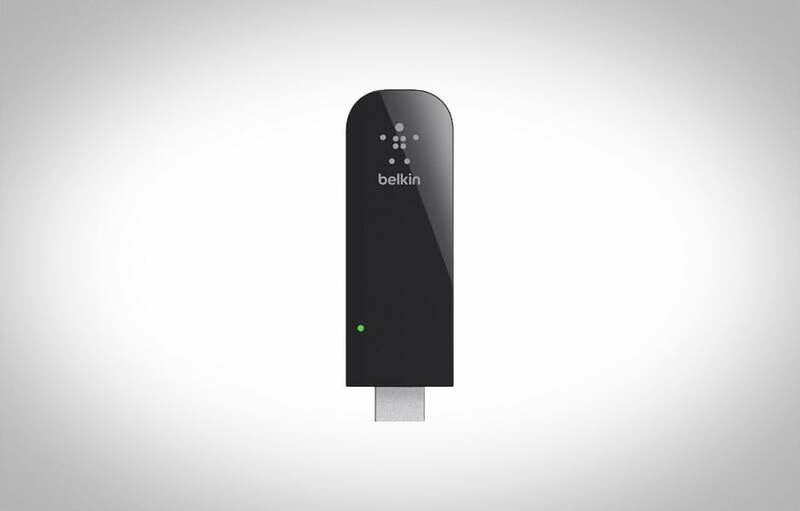 Some options with solid reputations include the Microsoft Wireless Display Adapter and the Belkin Miracast Video Adapter. Miracast is also available for use with the Kindle Fire HD through a few devices, including the popular Netgear Push2TV. Screen mirroring on the Xbox One is, unfortunately, a hit-or-miss proposition thanks to a slew of somewhat unreliable apps. The Xbox doesn’t have any native mirroring capability, so you’ll need to rely on third-party solutions, such as the aforementioned AllCast, or AirServer. Neither app is free (AirServer’s Xbox app costs a whopping $20) and users across the web have had mixed results. The Xbox mobile app offers a lot of neat features, but mirroring isn’t among them. While mirroring is limited, the best way to stream videos from your phone to your console is with Plex. Plex is available in the Xbox store and takes only a quick search to find. You’ll need to download the Plex app on your Android or iOS phone, then sign up for a Plex account if you haven’t already. In order to take full advantage of the app, you’ll need a paid subscription and you’ll also have to pay a one-time activation fee for your device. If you’re only using Plex to stream files saved directly to your phone or tablet (rather than stored on a Plex server), you can opt out and remain in trial mode instead. Plex is an awesome solution for those with extensive digital libraries, but those who prefer streaming services will need to access them directly from the Xbox. 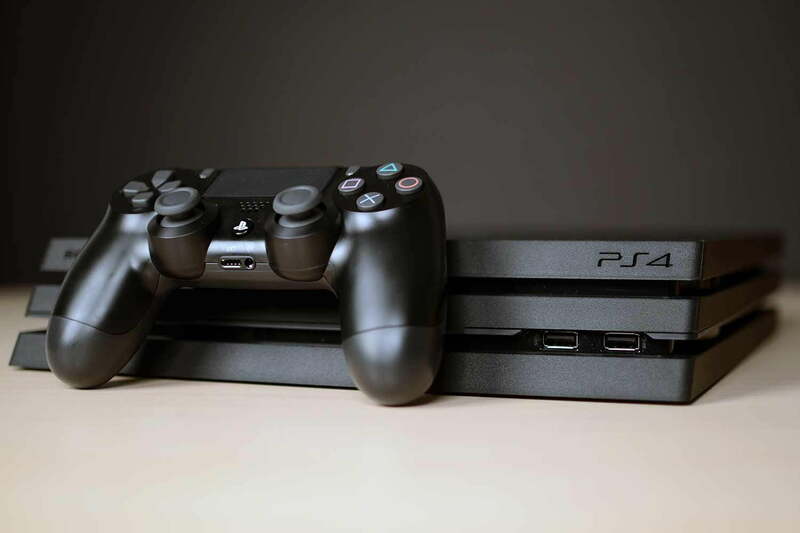 Unfortunately, none of Sony’s gaming consoles — including the PS3, PS4 or PS4 Pro — have native mirroring features included. While there is an official PlayStation smartphone app that allows you to control your PS4 and browse the PlayStation Network remotely, that’s about all it can do. Instead, users will have to resort to third-party options. Plex is probably your best bet here, as with Xbox. Other options, like R-play, allow you to do the opposite of phone mirroring, i.e., play games from your PlayStation to your iPhone. If you have an Android phone, there are more complex ways to get R-play, but it’s not yet available on the Google Play store and we cannot vouch for their quality or viability. Many newer TVs have mobile mirroring built right in. If you have a newer TV and you noticed an acronym on one of the HDMI inputs labeled MHL, you already have a plug-and-play solution to connecting your Android phone, albeit from a decidedly 20th-century, hardwired connection. MHL stands for mobile high-definition link, and allows you to mirror most content right on your display through an HDMI input. All you’ll need is a cable (you’ll want to make sure it works with your phone’s output) that converts your smartphone’s connection to an HDMI connection. Note: MHL will also power and charge your device while connected, but we haven’t seen a lot of great reviews for the cables in our research, so you’ll need to proceed at your own monetary risk. Of course, wireless mirroring is much more useful for the couch potato in all of us, and that capability also comes with some of newer TV models. For some time, most of the built-in mirroring options available are proprietary, like Samsung’s AllShare system, which works only with select Samsung Galaxy phones, or LG’s ScreenShare, which is compatible with both Miracast and Intel Wi-Di devices. As we mentioned above, however, that’s changing thanks in part to the addition of AirPlay 2, Apple’s long-proprietary video, image, and audio sharing protocol rolling out in a wide array of new TVs (and some older ones), from Samsung, Vizio, LG, and Sony in 2019. There are other options available, as well. Many Roku TVs, for instance, work just like the set-top devices when it comes to mirroring. For other TVs, check your settings manual to find out if MHL or wireless mirroring are part of the package (alternately, here is a handy list from Best Buy of some televisions with mirroring capability).